Maiden Jane is where “practical meets pretty.” What can I say, I’m a practical gal. 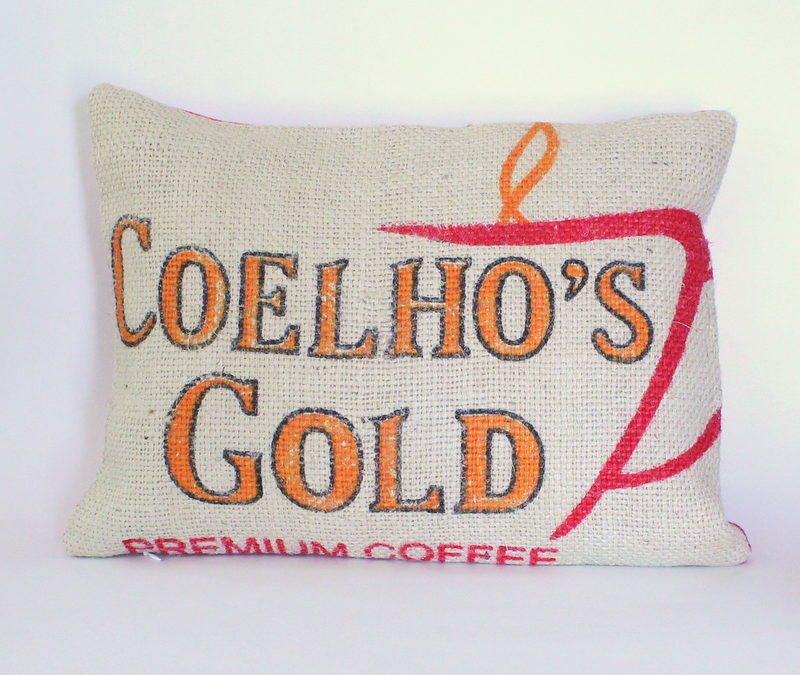 When burlap pillows were all the rage a few years ago, I couldn’t understand how they could be used for anything more than for show. In my house, pillows are USED. They are used to cushion heads for naps, to hold Nooks for reading, as projectiles (when there are boys in the room), and for elevating feet. Our couch pillows get used a lot and they have the war wounds to show for it. 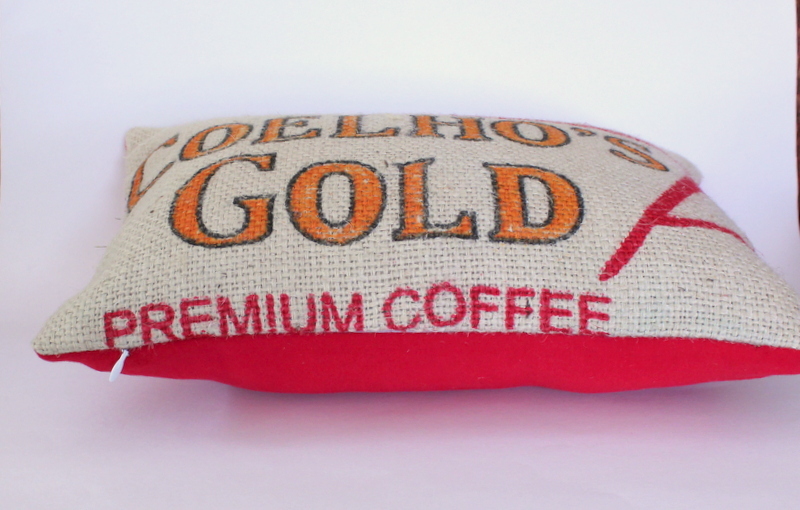 I came across a company called Pillow Cubes that makes a variety of pillows. 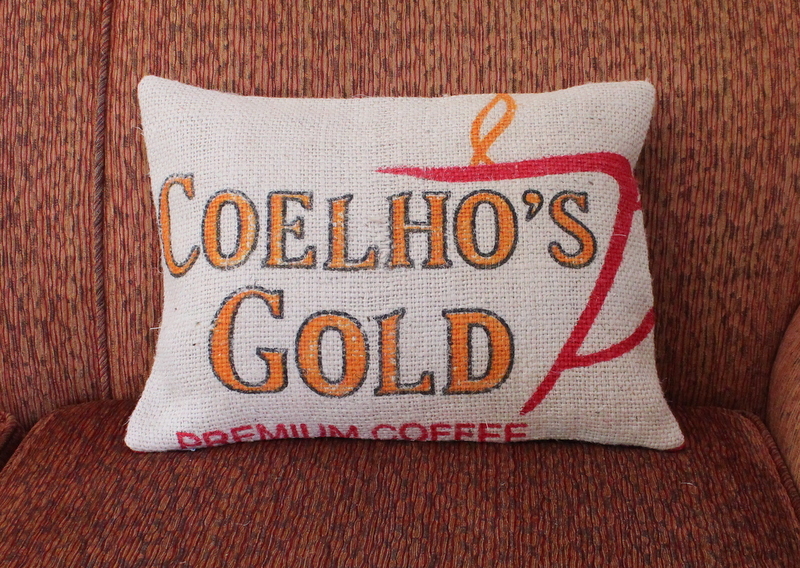 I decided to try out their Eco-Friendly pillow. 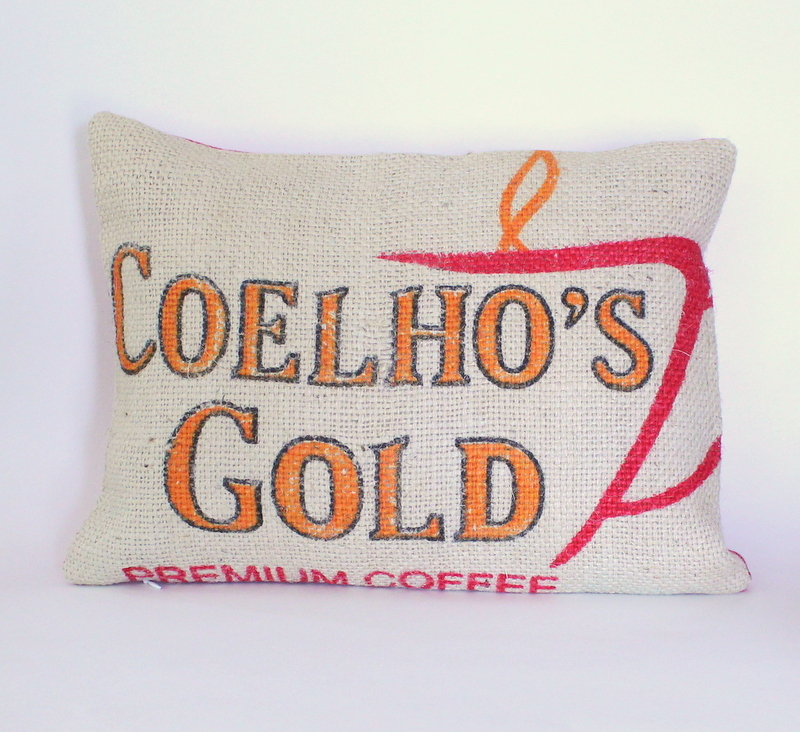 The filling is made from recycled plastic and the outer fabric is an unbleached cotton. 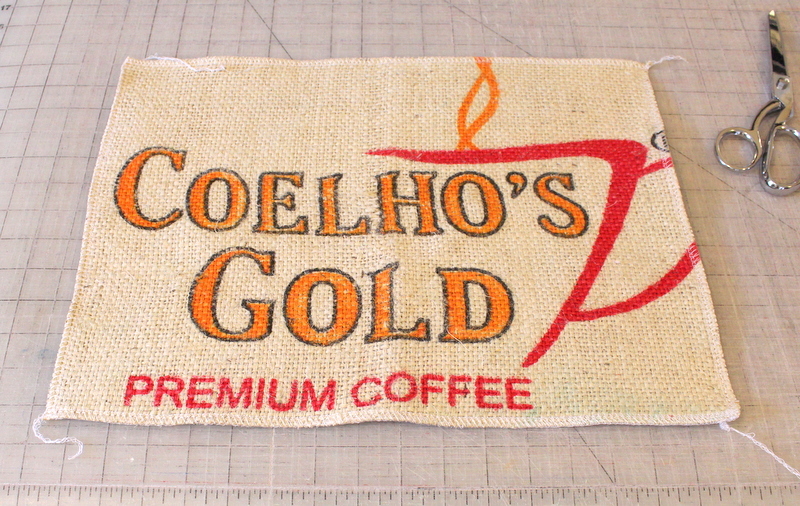 What better materials to use with an eco-friendly insert than a coffee sack and organic sweatshirt fleece. 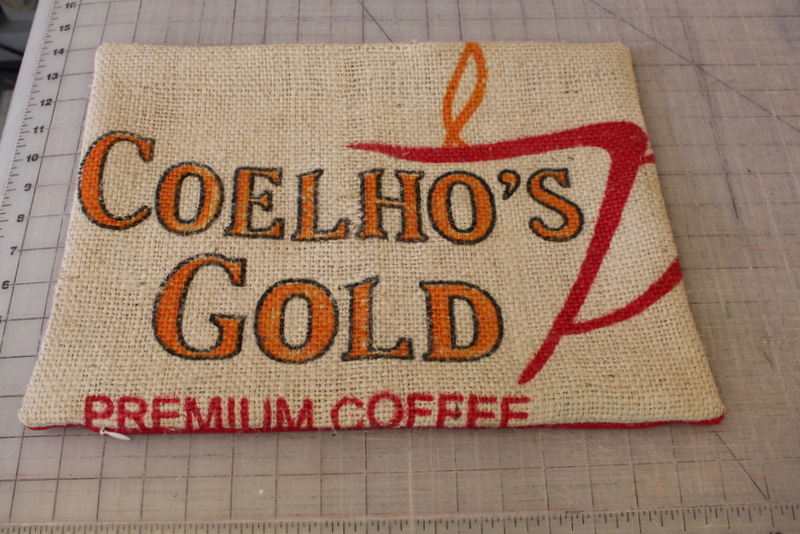 My practical solution to using burlap is to put something soft on the other side. That way, when nap time rolls around, the guys have something soft to lay on. 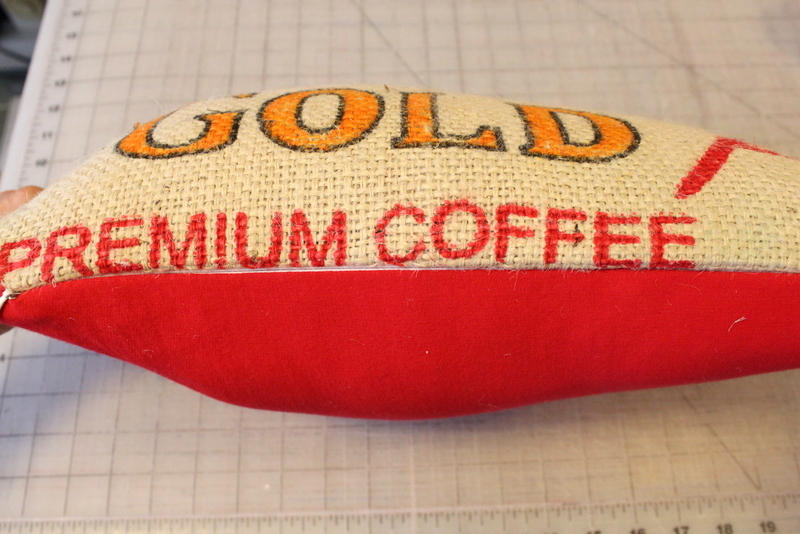 Coffee sack (I have a lot on hand from previous projects and got them for free at a local coffee roaster. I see a lot for sale on Etsy and Online Fabric Store. You could also purchase burlap at Joanns. Organic sweatshirt fleece. 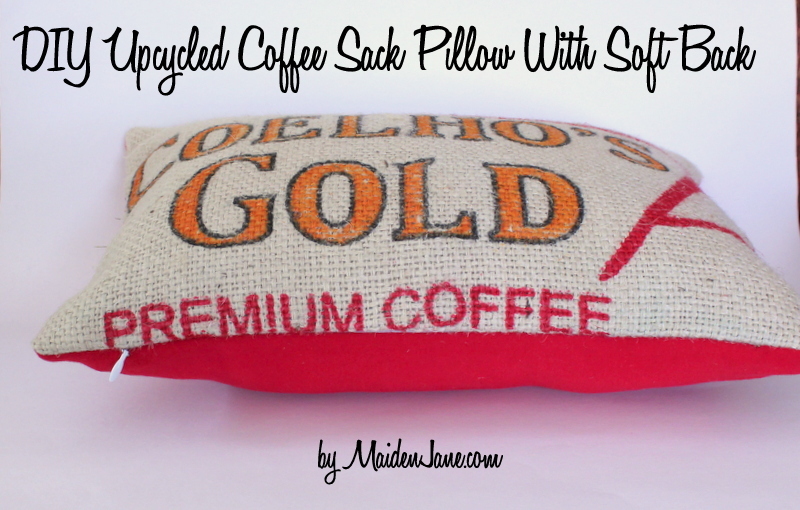 You can be creative here and use up any fabric you have laying around. An old T shirt would work well! 2. Cut along the bottom edge. 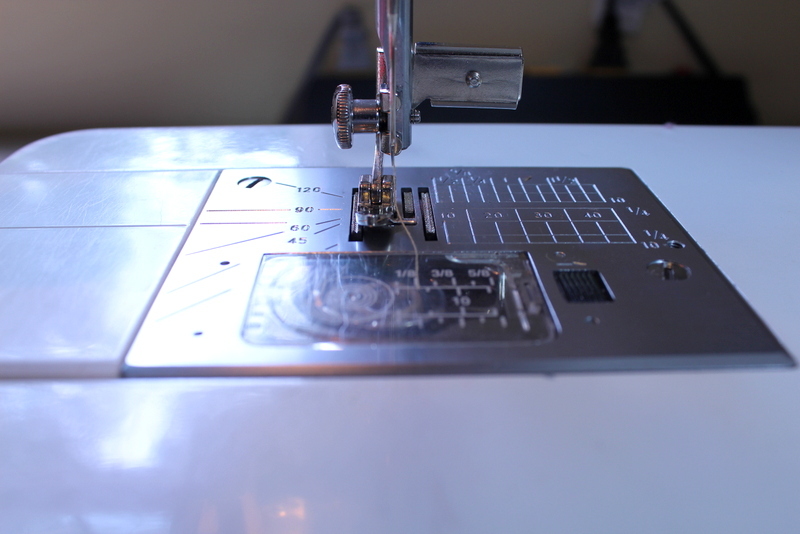 You can minimize fray by cutting along a cross weave thread. 4. 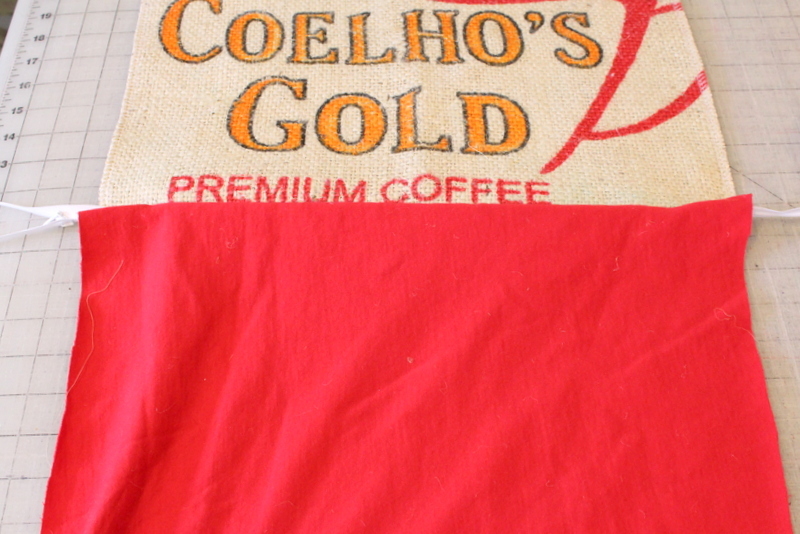 Place coffee sack rectangle on old sheet or muslin. Pin and cut. 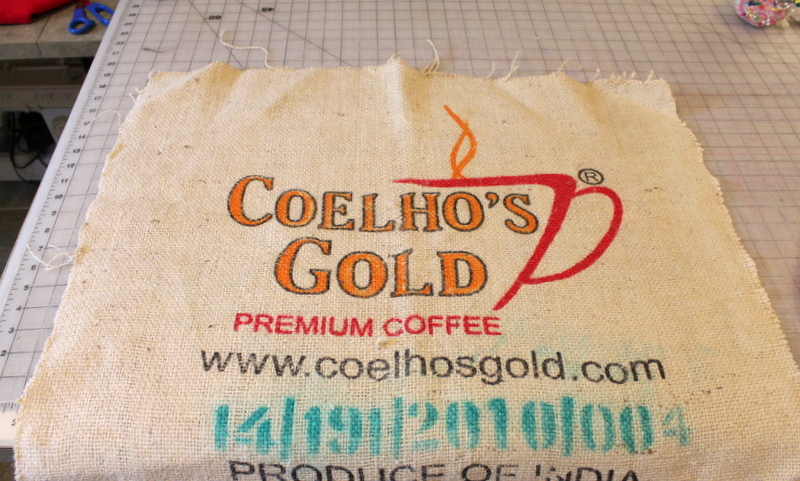 This is an underlining to give the coffee sack a bit more body. 5. 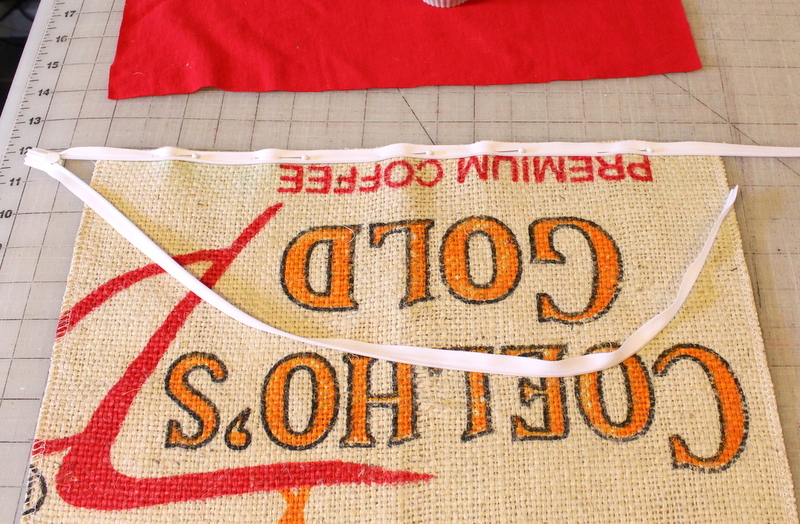 Serge or zig-zag stitch around the perimeter of the rectangle. 6. 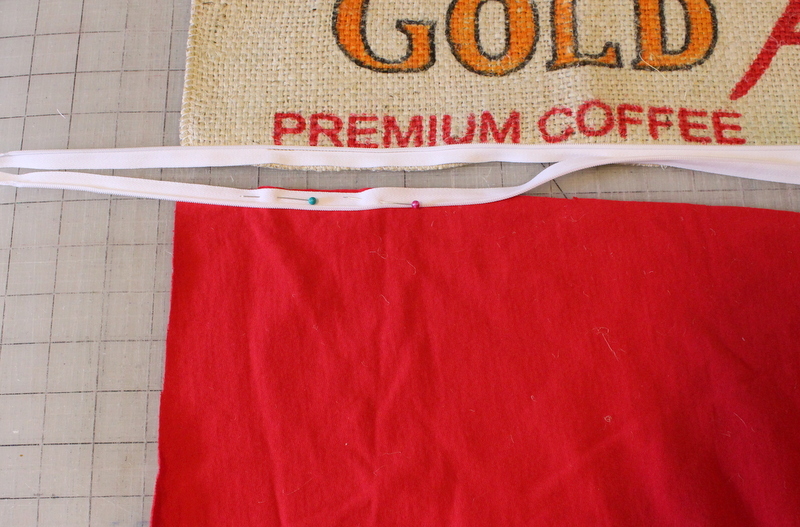 Use coffee sack rectangle to cut out the backing piece from the sweatshirt fleece. 7. 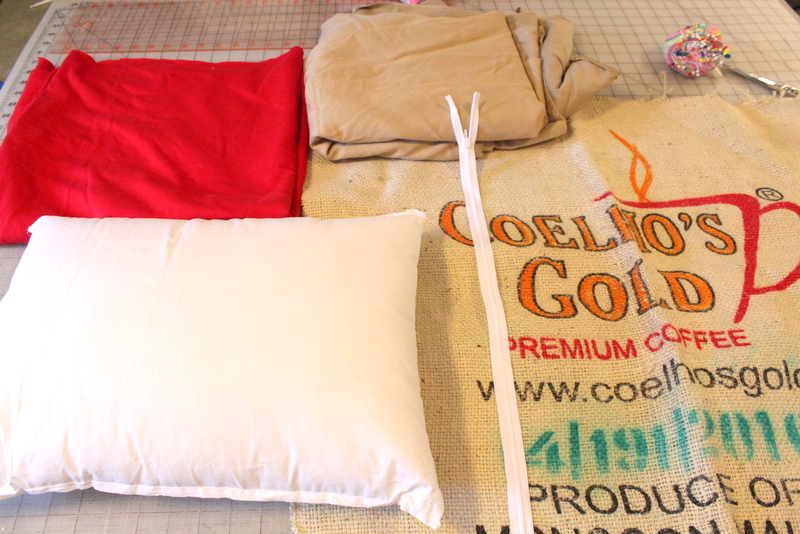 Now you have your two right sides with their lower edges facing each other with the invisible zipper in between. 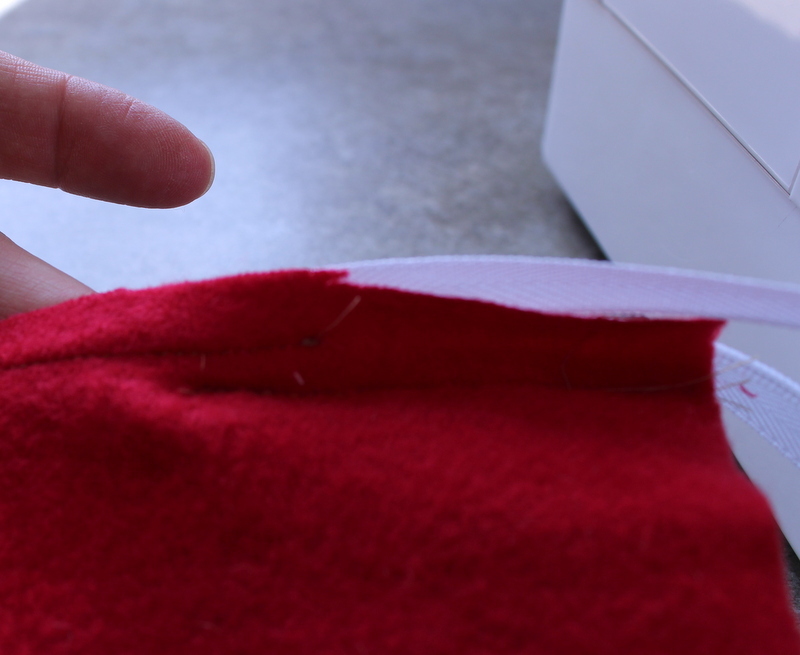 I like to do this because invisible zippers can be easy to twist. 8. 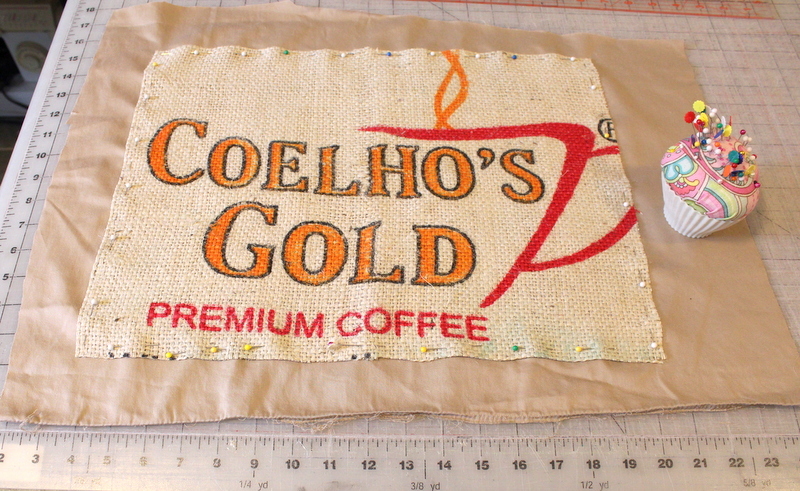 Unzip the zipper and take one right side of the zipper and pin it to the coffee sack rectangle. I typically don’t mark anything. I just start pinning about 2″ from the edge. 9. Now it’s time to do a bit of a foot dance. 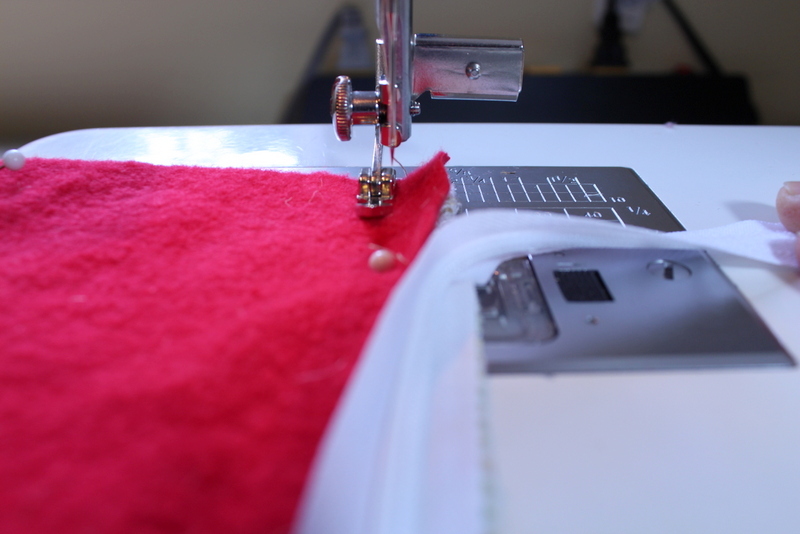 I use an invisible zipper foot (on the right) to sew the zipper. 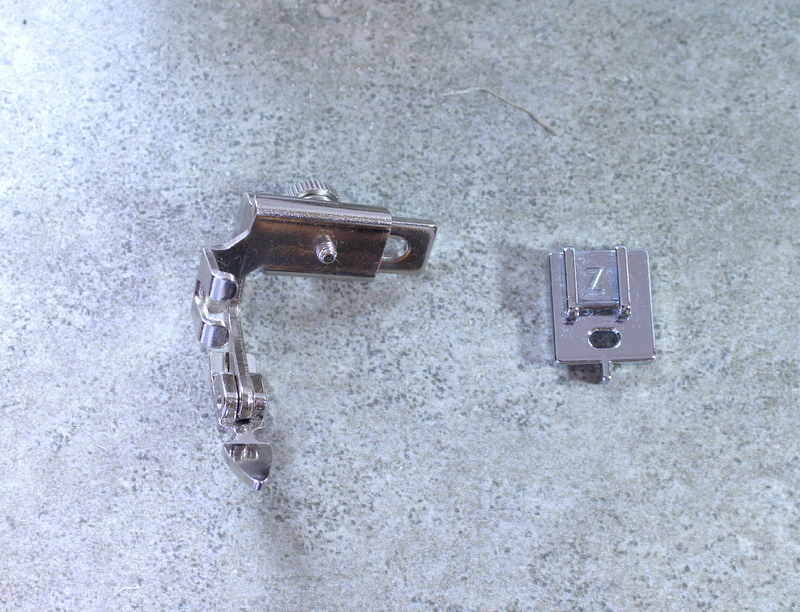 Then, I switch to an adjustable zipper foot. 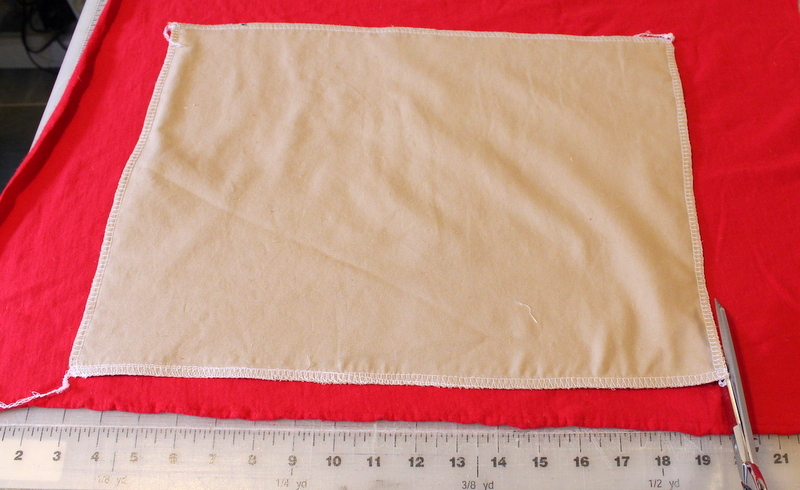 Stitch, using the invisible zipper foot, starting about 2″ from the top edge and finishing about 2″ from the lower edge. 10. Pin the other side of the zipper to the backing fabric. First, close the zipper. 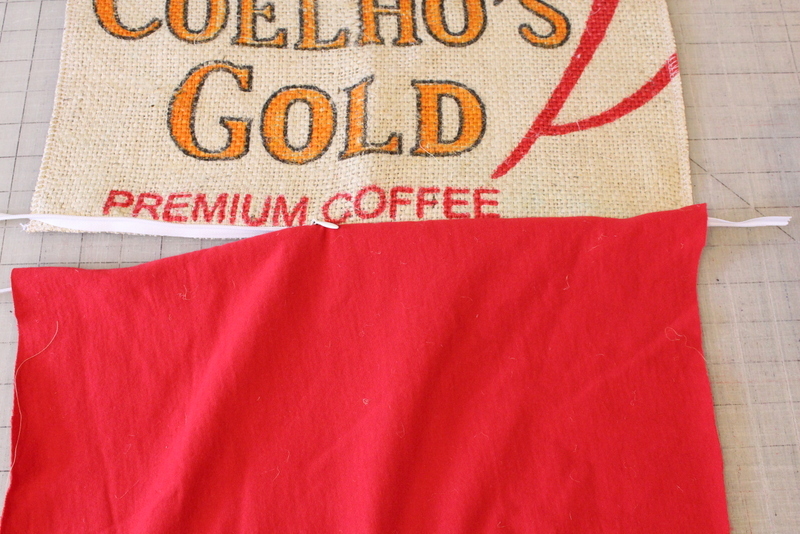 This is hard to show, but place the right side of the backing fabric onto the right side of the coffee sack. 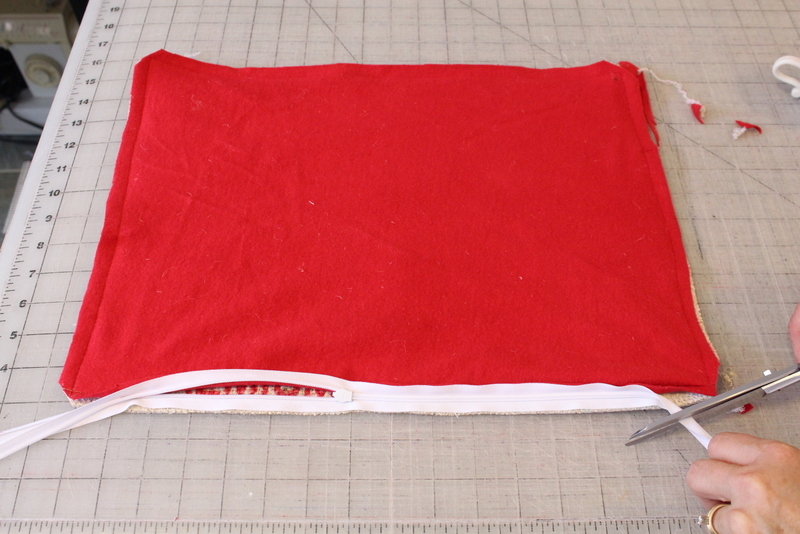 Fold up the edge, so that the right side of the backing fabric meets the right side of the zipper. 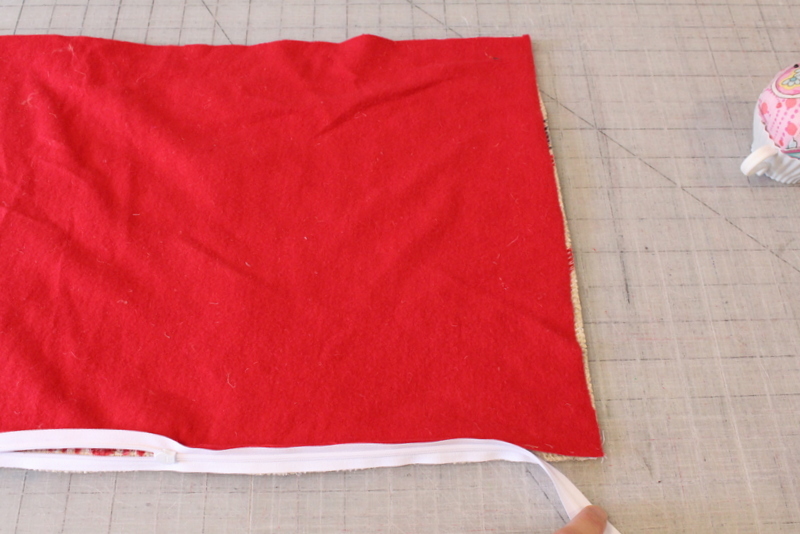 Pin the zipper to the fabric at the edge. Continue to pin the zipper along the edge of the backing fabric. 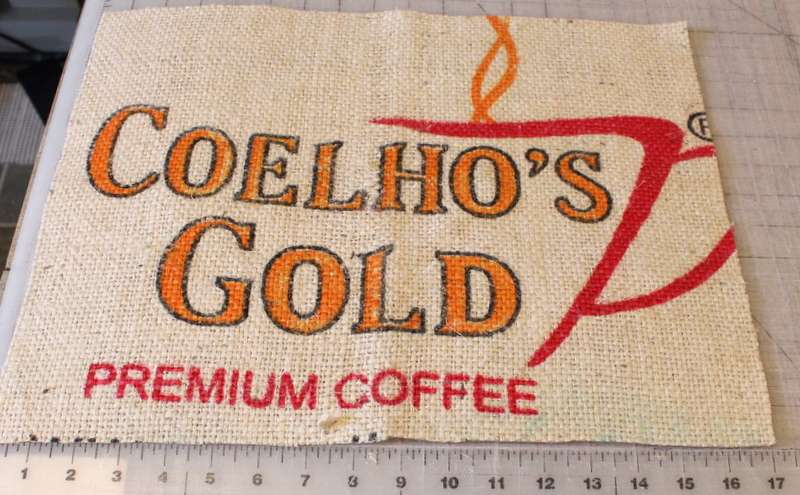 Stitch the other side, again starting and stopping 2″ from the edges. 11. Close the zipper and make sure you constructed it properly. 12. Unzip the zipper about halfway. 12. 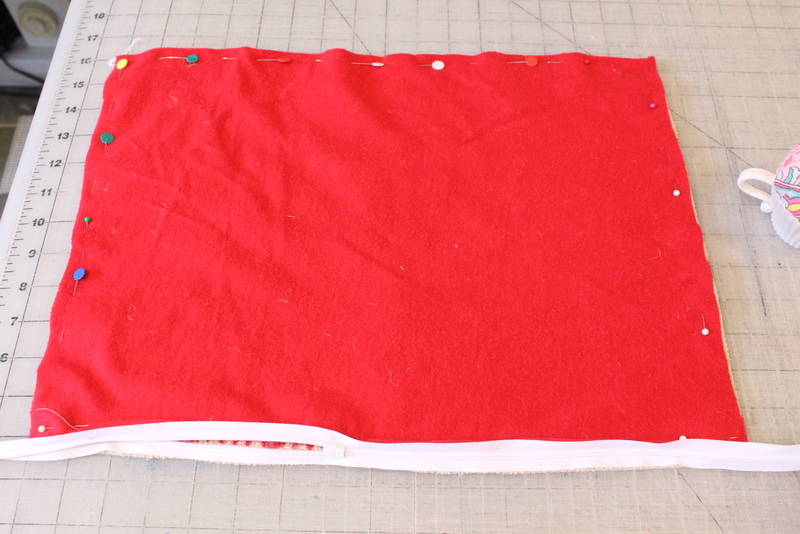 Place fabric right sides together. 13. Pin around the sides of the rectangle. 14. 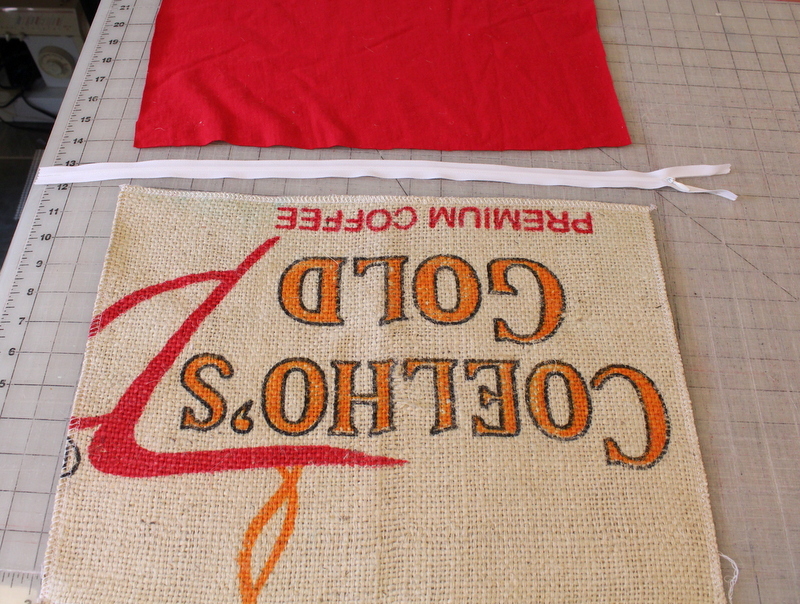 Next you will complete the stitching along the lower edge, in line with the zipper. 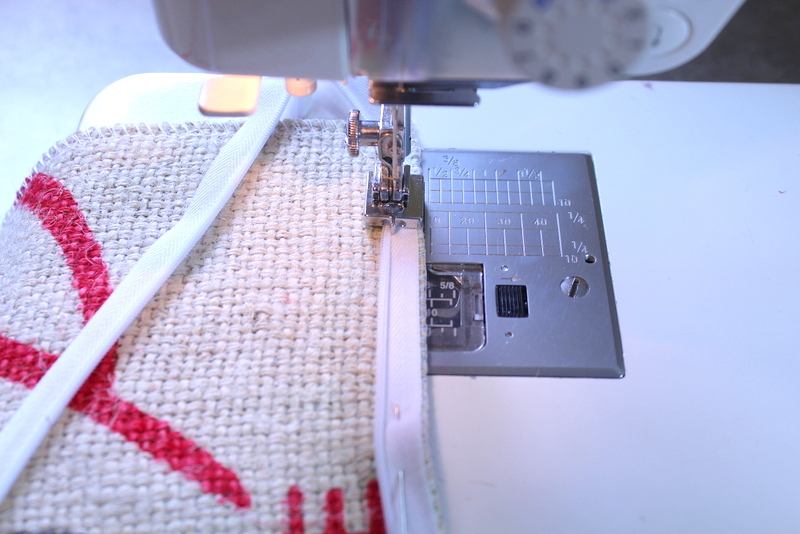 To do this, switch to the the adjustable zipper foot. 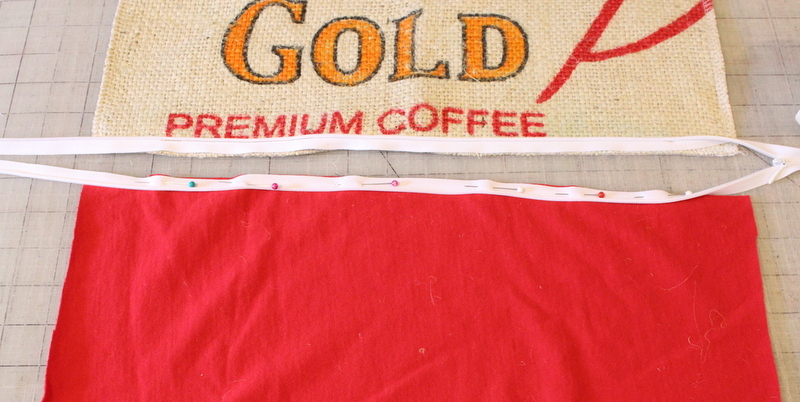 Starting at the far edge and holding the end of the zipper out of the way, stitch at the seam allowance (1/2″) just a little past where the zipper is stitched and as close as possible to the previous stitching. Do the same on the other edge. 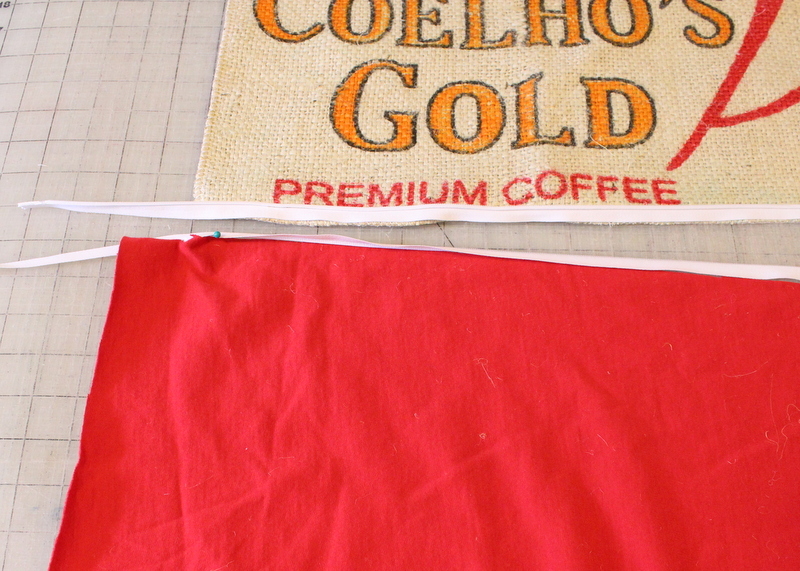 You can see that my edge stitching is about 1/8″ away from the invisible zipper stitching. 15. 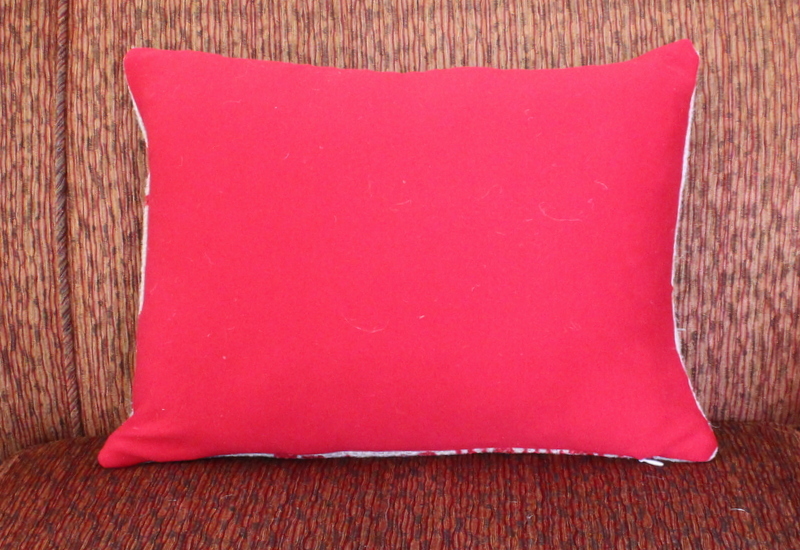 Stitch around the remaining three sides of the pillow, trim corners and trim the zipper. 16. Turn inside out. Press. Enjoy!